My goal is to design silk accessories that look and feel sumptuous and to make unique wall decor that adds a touch of individuality to a home. 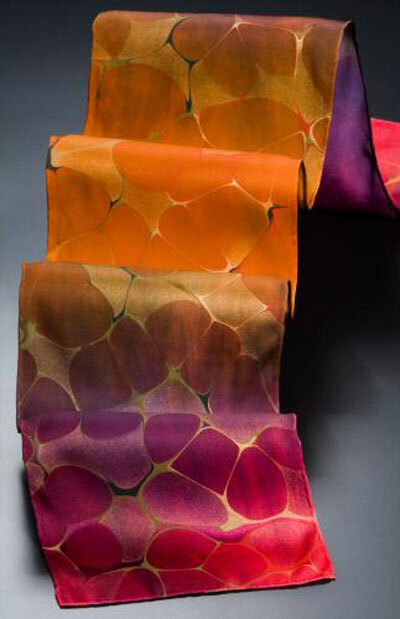 The scarves are individually dyed before being printed with a hydro-printing process best known as marbling. though there are many lovely classical patterns I have chosen to develop bold images based on river stones, leaves and vines. 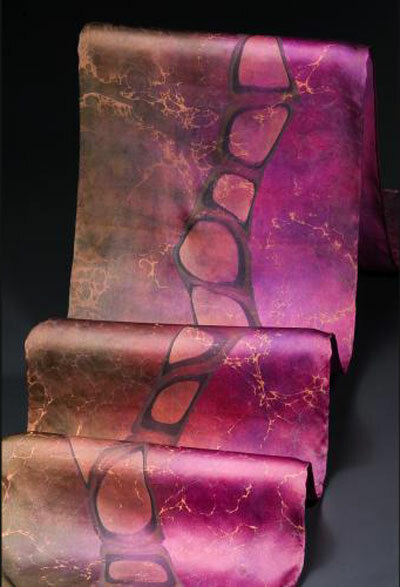 The wall hangings are accomplished with another exciting surface design process called vat dye discharge. A white discharge paste can be used or by adding vat dye a colored paste is made. 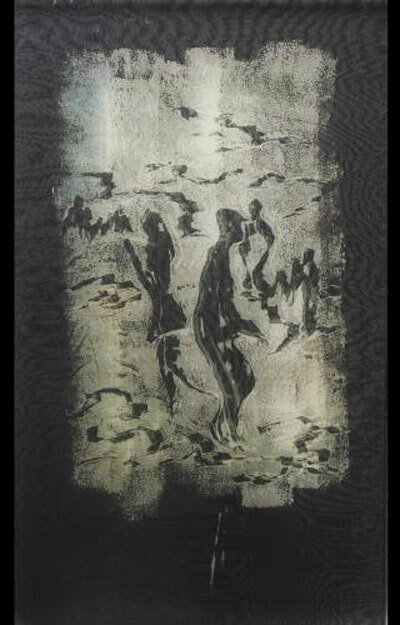 The paste is applied to fabric by stamping, brushing, silk screening or other printing methods. Since the discharging agent and the dye need the same chemical environment to function, the fabric is transformed during the steaming process by removing color or simultaneously replacing new color in the discharged areas. Laura Sims Obituary. Laura died on October 11, 2014. 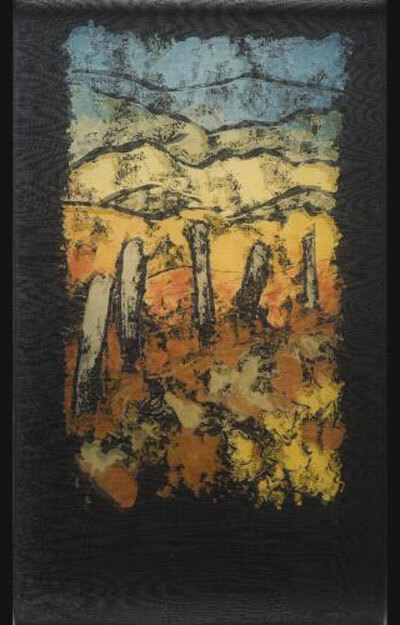 She became an exhibiting member of Piedmont Craftsmen in 2008 and was also a member of Southern Highlands Craft Guild. She worked for both the Southern Highlands Craft Guild and John C. Campbell Folk School in administrative and/or shopkeeper capacities while building her love of mountain craft and craftsmen. In the mid-80’s she drove cross-country with a friend to take a weekend marbling class and found her ‘thing’. She taught marbling many times at Folk School, Penland and Arrowmont. She organized an International Marbling Conference at Arrowmont in ’02 which drew marbling artists from all over the world.